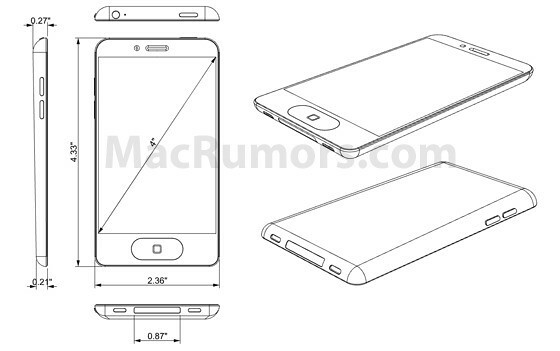 MacRumors has posted renderings of the iPhone 5 based off information sent to third-party case developers. The measurements are 4.33″ x 2.36, which compares to the iPhone 4′s dimensions of 4.5″ x 2.31″. Along with the mock-up above, MacRumors also got their hands on a purported iPhone 5 case. If these cases are correct (seen after the break), they point to the iPhone 5 packing a larger 4-inch screen, compared to the iPhone 4′s 3.5-inch. 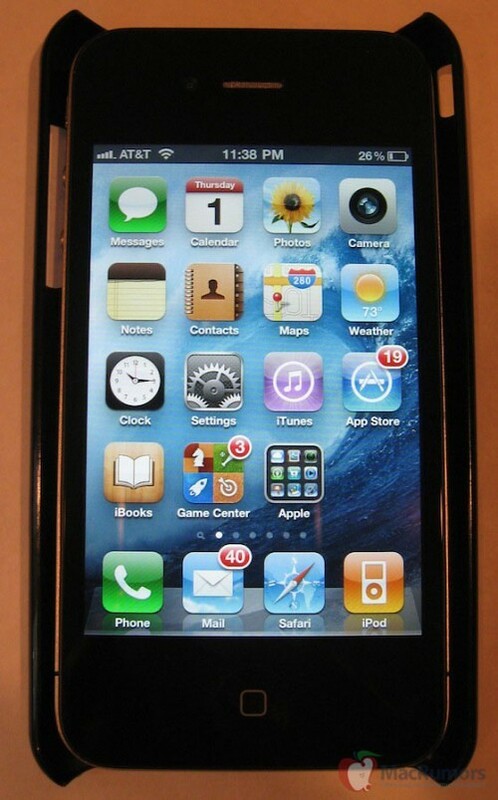 But, earlier reports contradict MacRumors, saying the iPhone 5 will feature a screen closer to 3.5″.